This post brought to you by TownePlace Suites by Marriott®. The content and opinions expressed below are that of The Taylor House. Hey, everyone! I don’t know about you, but when it comes to packing for travel I always seen to go overboard and take way too much on my trip! It doesn’t matter if I’m going for a night or a week, my suitcase is always full to the max. I thought I’d share some great packing tips and tricks to help maximize the space in your suitcase and keep things a little more organized when you travel! I have several products that I use in my suitcase that help keep my bag organized, I found these at The Container Store® here in the Twin Cities. 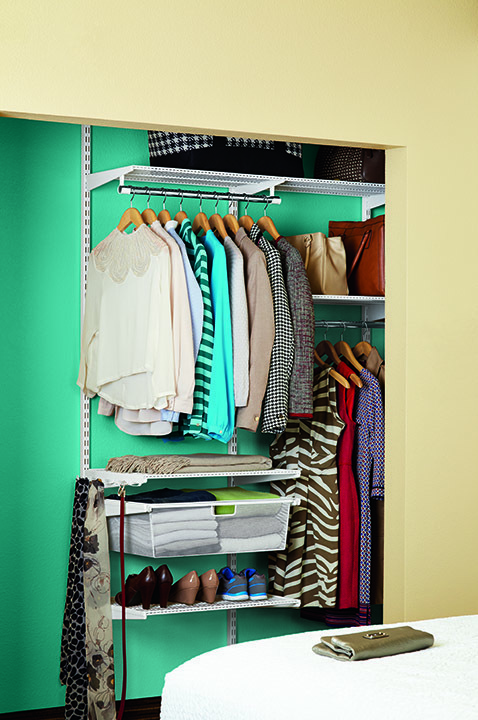 If you’ve never stopped by The Container Store® and love to organize, it is an absolute MUST! Trust me, you’re going to be in heaven! Great Suitcase – this is essential! Not every suitcase is created the same, there are different levels that provide great storage and roll really nicely. If you’re a serious traveler, you need to invest in a good bag! You can find great weekend bags, suitcases and more at The Container Store®! Containers of All Sizes – Make it easy on yourself and have containers for everything. You’ll know right where to put your razor or contacts. I found several different bag sizes, containers and even a dirty laundry bag that will help keep me organized! I love that they all match too – it makes me feel more like I’m at home! Hanging Jewelry Roll – I had always just stuck my jewelry in a plastic bag and then when I got to my destination spent an hour untangling everything. NOT COOL! After I found a nice Roll up Hanging Jewelry Bag to keep things seperated and well organized I was thrilled! This one little product has saved me so much time and headaches! I love that this is a Jewelry Roll is able to hang in the closet so it’s off the counter and out of the way plus it’s right with my outfits as I’m getting ready to go. with their elfa® system! We usually stay at TownePlace Suites by Marriott® when we travel because we love the extended-stay features like Fully- equipped full size kitchen, Free Wi-Fi, On-Site laundry and now they’ve partnered with The Container Store® to make the closets more organized and feeling like home. Just look at this amazing elfa® closet I saw while I was visiting the store! I wish that my own closet looked like this! I hope these tips and products will help you have more organized travel whether it’s on vacation or traveling for work! I love TownePlace Suites by Marriott® and would recommend it to anyone looking for an extended place to stay because of how great they are for helping you stay organized! Having closets like this with amazing shelves and extra places to keep your cloths is key! I know if I’m loving out of a suitcase it’s so much more difficult and it feels more stressed. Be sure to check them out next time you’re in need of a fabulous hotel! TownePlace Suites® is giving away a $100 gift card to put towards your next stay. Must be 21+, U.S. residents only. Be sure to read the official rules and find more information on TownePlace Suites® Facebook! Good luck! I use ebags and keep outfits together. I also have a second set of toiletries that is already in the suitcase so that those are always ready to go! I stay organized by packing light and getting my bags packed really neat, I roll my clothes to save room and time, I also unpack as soon as I arrive to the hotel.